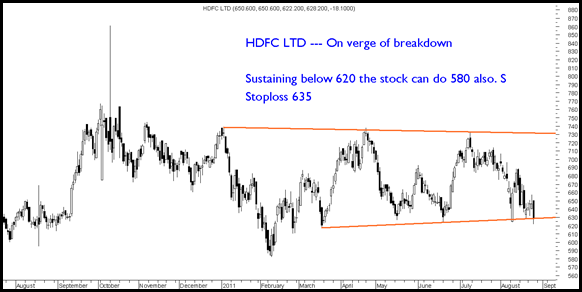 HDFC---- Crucial supports at 620-625 on the verge of being broken. 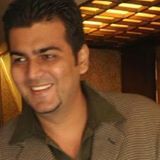 Watchout for a down move to 580. 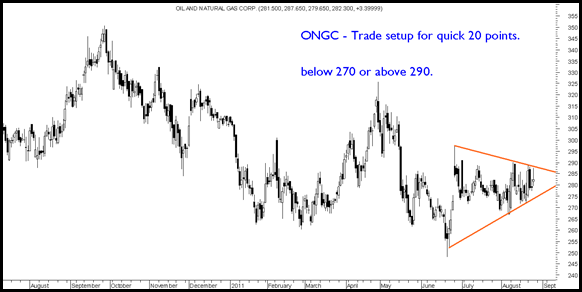 ONGC – Nice trading setup for 20 points. Above 290 long below 270 short.